How long we may have gazed on a particular scenery and think that we have seen and known it, when, at length, some bird or quadruped comes and takes possession of it before our eyes, and imparts to it a wholly new character. The heron uses these shallows as I cannot. I give them up to him. Simple yet meaningful. Stage Harbor’s logo, the Great Blue Heron, represents a good many of the characteristics that Stage Harbor built its foundation on…including independence, versatility, patience, and self-determination. In fact, we feel these same characteristics are shared by the families we partner with everyday. It is, for that reason, that we feel the Great Blue Heron also symbolizes the strong bond we share with your family. Independence: For Stage Harbor to deliver the highest levels of service along with leading financial planning and investment management solutions, independence was a must. Really, what better image to symbolize freedom than a bird? Our independence is what enables us to be responsive to the needs and requests of our clients, helping us to be truly connected to families like yours. Further, we recognize that the financial planning we perform everyday has a primary focus of providing you with independence and financial freedom so important for you to live the life you want. Versatility: The Great Blue Heron is found throughout most of North America (and beyond) and can find a home near virtually any body of water, adapting to lakes, marshes, swamps or shorelines. You can enjoy watching them in the salty water of our namesake, Stage Harbor, and we often observe them in the freshwater of the Charles River near our office. Further, its ability to operate on land, air or water perfectly displays its versatility. This versatility enables the Great Blue Heron to be a true survivor and one of the longest living birds on the planet. The financial services industry has evolved and will continue to evolve. Stage Harbor is committed to staying at the forefront on industry changes to ensure you aren’t left behind. Additionally, we recognize that investment markets are constantly moving up, down, and sideways. Stage Harbor believes constructing an investment allocation for all market environments, uniquely built to serve your specific needs is imperative to navigate these varied market environments. Patience: Ah…our great blue heron, simply standing there. 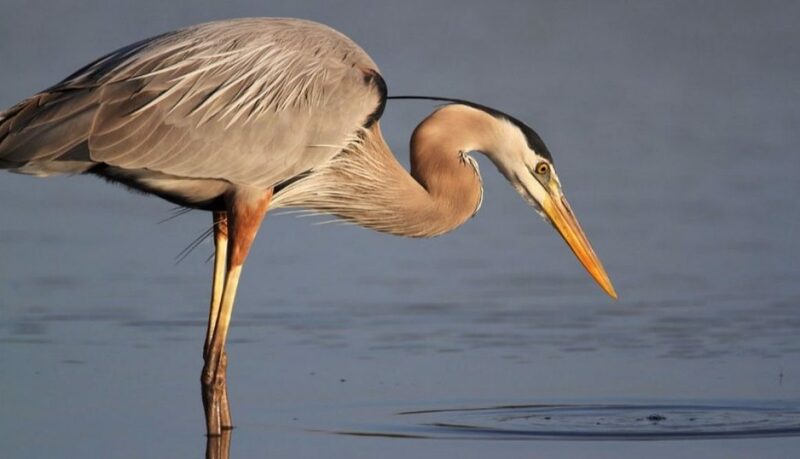 The great blue heron is well known for its balance and its ability to patiently await the appropriate opportunity. These characteristics are in perfect alignment with our approach. Maintaining discipline is essential to ensuring success with both financial planning strategy and investment management. Self-Determination: The blue heron has a majestic seven foot wingspan that can help the bird fly great distances with little effort giving it the freedom to go wherever it desires. Stage Harbor was formed with that in mind…we followed our heart. Sure, other paths may have been easier. Those other paths, however, would have resulted in a less optimal solution for you. We are determined to always operate with a clear mind and clear conscience that we are always doing what is in your best interest. Only then can we collectively spread our wings and achieve new heights. Simple yet meaningful…the sense we hope to generate for you through our holistic planning and investment approach. When the heron takes to flight, what a change in size and appearance! It is presto change! There go two great undulating wings pinned together, but the body and neck must have been left behind somewhere.